There have been confusions about medical malpractice and managed care errors & omissions coverage. We have often heard from medical organizations that they do not need managed care errors & omissions coverage because they have medical malpractice coverage. A medical malpractice policy that is not specifically for managed care does not give full coverage for errors & omissions which occur in healthcare. 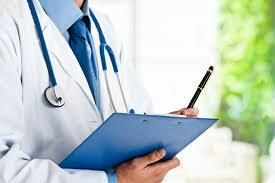 Medical malpractice provides coverage for the delivery of medical care only. Managed Care Errors & Omissions Liability provides coverage for actions brought against the organization, its officers, directors, medical directors, employees and volunteer staff for errors or omissions committed in the daily operation of the organization. It provides for many liabilities usually not covered by clinic or physician Malpractice Policies. A medical malpractice suit can name the physician, hospital and as well the managed care organization the physician is associated with. This is called “vicarious” liability and is one very good reason the organization would need to have Managed Care Errors & Omissions. Pharma – What payments do physicians receive?